London, May 25th 2018. 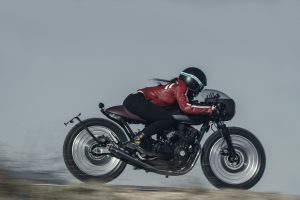 United by a genuine passion for the heroic years when motorcycling really began, Dainese Settantadue and The Bike Shed are coming together to celebrate the industry’s most exclusive event this year in London. 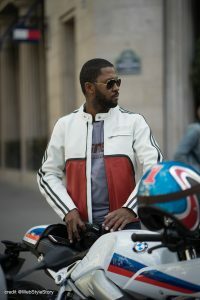 This is the first time that Dainese Settantadue has appeared at The Bike Shed London. 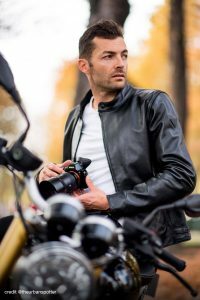 The brand draws authentic inspiration from the history of motorcycling clothing, that of the heroic years, offering garments that combine exclusive yet never nostalgic elegance with technical solutions that are able to satisfy the very highest safety standards. 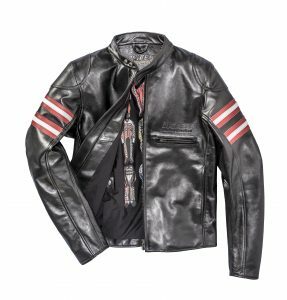 The star of the first Dainese Settantadue collection is the leather jacket, a garment that unites generations of motorcycle lovers and never goes out of fashion. The three lines are called Archetypes, Speed Leather and Demon Flower. All created with meticulous attention to detail, they are inspired by the icons of the past. 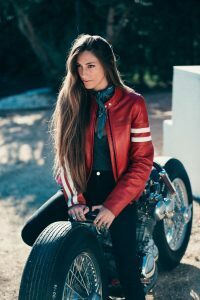 Archetypes takes cult products like the bomber jacket, the classic leather jacket loved by bikers, rockers and 60’s-70’s travelers alike, and brings them up to date. 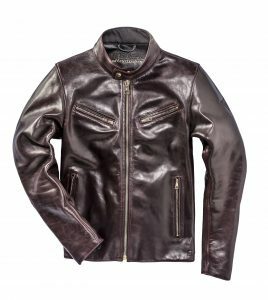 Speed Leather, meanwhile, features jackets such as Toga72, Rapida72 and Freccia72, which are openly inspired by the racing suits that Dainese used to produce when the company first set out on its journey. The exciting new partnership with New York artist Othelo Gervacio has resulted in Patina72, the highlight of the Demon Flower line. Patina72 is made of drum-dyed leather that has been brushed by hand. 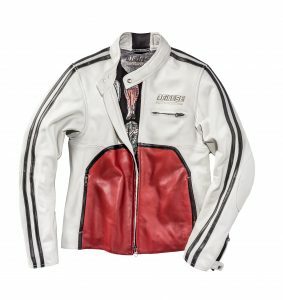 It takes its name from the work that Othelo created to embellish the lining of the jacket and that characterises the themed T-shirts. 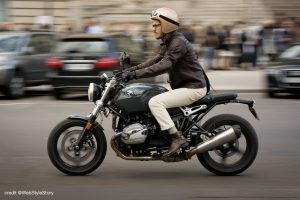 Over the weekend of May 26–27, motorcycling enthusiasts can discover the entire collection in the exclusive Great Gallery at the Tobacco Dock in London. Giacomo Agostini, motorcycling legend and honorary member of the Dainese and AGV family from the outset, will be there to celebrate Dainese Settantadue’s premiere at The Bike Shed.